Legislator Anker met with participants of North Shore Youth Council’s Big Buddy/Little Buddy Program. 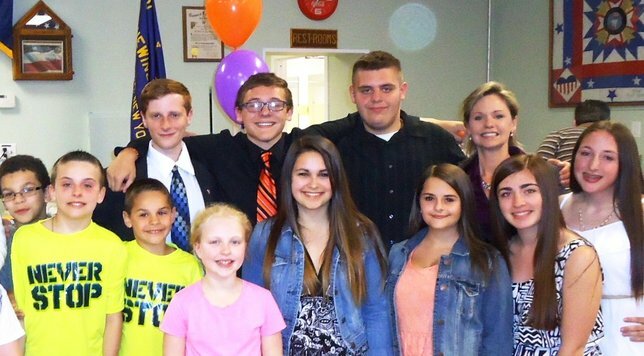 Rocky Point NY - May 29, 2014 - On Monday, May 19th, Suffolk County Legislator Sarah Anker recognized local students who participated in the North Shore Youth Council’s Big Buddy/Little Buddy program at the VFW Hall in Rocky Point. The Big Buddy/Little Buddy program unites high school volunteers with younger students for whom they act as role models and mentors. The Big Buddies teach their Little Buddies about self-esteem, responsibility, and motivation in a friendly and supportive environment. The Big Buddy/Little Buddy program encourages positivity and collaboration among our youth. For more information about this program and the North Shore Youth Council, visit nsyc.com. Subject: LongIsland.com - Your Name sent you Article details of "Legislator Anker Celebrates the North Shore Youth Council’s Big Buddy/Little Buddy Program"